Bokeh Blur simulates realistic lens blurring. It's especially useful when you need to simulate a very 'out-of-focus' background. Has ablilty to use a Zdepth pass (or ramp) to simulate Depth of Field. Hey Jason, do you mind adding a description on how it works with z.depth? It'd be great if it works like zblur. I basically create a matte from the depth pass (inserted into the depth input) and you can adjust the DOF with the settings in the gizmo. I added a check-box to toggle 'View Matte Only' for adjusting the matte. I would use this for cutting out the FG from the effected BG. It doesn't make numerous z-slices like the zDefocus node does, but it renders very quickly. Thanks for this gizmo. Problem is: it's not working as expected. Using it on one of my shots always results in an offset of the whole image. Think it has to do with the filter image being not centered inside the square image format. The tooltip of the Convolve mentions "The cropped area is what is used, the center of the filter is the center of the crop". Tried fixing it with a Transform and a Crop, which seems to work. Maybe you want to have a look at it. I incorporated a Zslice node to allow for a DOF effect when using a Zdepth pass. Plug it into the Zmatte input. @ Abraham, you may be seeing an offset because of the aberration slider. It just shifts the red and blue channel away from each other. Try setting it to zero. The convolve node is a nuke node and doesn't have effect on the translation of the image. @Jason: no, I'm talking about an offset of alot of pixels, not the aberration offset! I have a starfield here and if I use your gizmo, the stars are on completely different locations then without the gizmo. It's definitely a bug of the gizmo. Of course, convolve is a nuke node. But as the help text of it says, the filter center is the center of the crop image. So to not get an offset, the mask should be centered. yes, i'm getting the same offset effect too. The gizmo shifts the whole image up and to the right. In the gizmo, I am using a constant, which is set the size of your global settings, as a backdrop for the convolve. Try adding a crop before the gizmo, which will properly set your image size/ bounding box to project size. The gizmo works fine for me and I have used it in production. Feel free to open it up and make changes as needed. The gizmo now just turns the image black and appears to not be functioning :/. any thoughts? I just tested it in Nuke 6.3v2 and seems to be working fine. BTW, If you have "view matte" selected without a Zdepth pass connected, it will show a black screen. Also, if you tell the gizmo to set all knobs to default, the bokeh size slide goes into the negative integers, which also appears black. Grab the bokeh slider and slide until it shows an image again. Hope that helps. @ Abraham, yacob and darren, version 3.6 should correct the shifting issue. Fixed a couple additional bugs, please use version 3.7.
hey jason. if i connect a zpass image to the zdeph input of the bokeh node, it doesn't change anything at all. if i activate the "view matte" button the rgb values are 0 all over the image. if i move the sliders of the "depth of field controlls" it changes nothing. in some cases i got in to work but only if i didn't turn "DOF on/off"- button on (didn't really understand that) and only for a short time. i have nuke 6.3 v4. 64bit installed on windows 7. perhaps you got a idea. 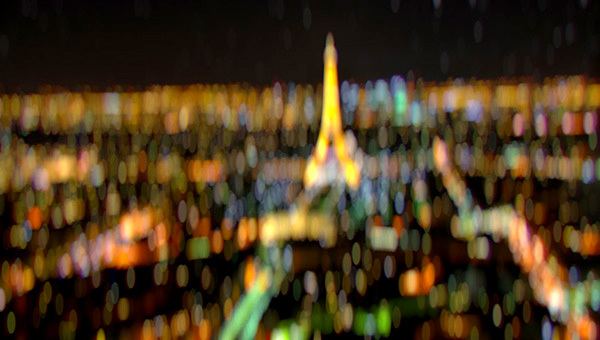 your defocus looks really awesome. the gizmo seems to have the alpha.G_matte and rga.alpha layer problem included (see the mailing list discussion on redguard). probably a good idea to remove those lines. @ Chris I removed the GMatte string from the gizmo. Sorry about that, not sure how it got in there. Very nice result. Using during education to look how I want to see my Convolve shapes and grading result. and it gets rid of all settings and the settings panel is not acessable anymore. I know this is a very old thread, but I don't have access to Frischluft or pgBokeh at my current office. This gizmo is great except it doesn't seem to apply the defocus to the alpha channel and I can't seem to figure out how to apply it to that channel. I'm trying to use this on cg passes rather than an entire plate. Is that possible with this? I intended the mask to be driven by the zdepth, although I need to rework how it makes z-slices. Right now it's basically a luminance key based on the zdepth. I will try to make this more robust when I get some time to work on it again. For now, you could use a Keymix. Thanks. If you ever do update this I'll be sure to download. Nice work. Thanks Jason. That's very cool.